Our reviews are in, you should know all there is to know about the Samsung Galaxy S7 and Galaxy S7 Edge at this point. We told you about each phone’s stunning design, the top level specs that few can come close to matching, the return of missing features, and of course, the almost immediate availability. But maybe you didn’t want to read through the thousands of words we put together in those official reviews. Maybe you just want the highlights broken out into the simplest of forms to help you decide if either is worth buying. Well, here you go. 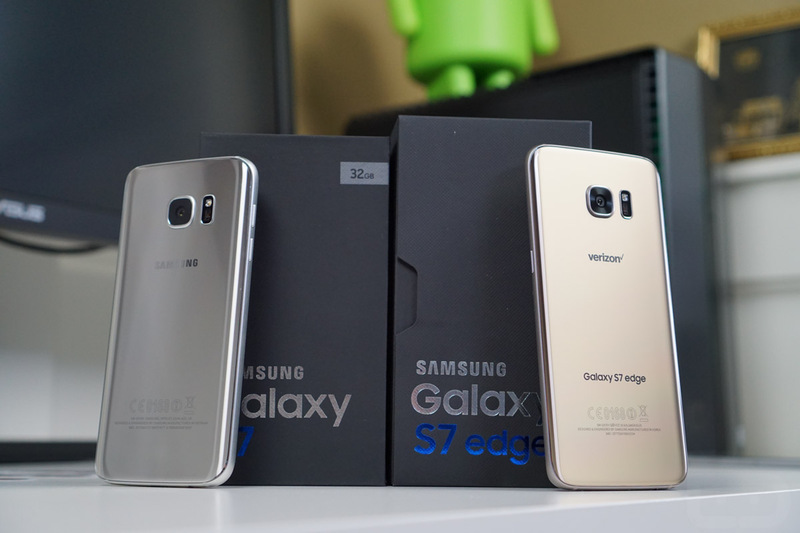 These are 5 reasons the Galaxy S7 or Galaxy S7 Edge is worth buying. While using the Galaxy S7 or Galaxy S7 Edge, even though it has a beautiful and premium design with incredible performance and decent battery life (depending on the version), I can’t help but think that the best feature is its incredibly fast and easy-to-use camera. Samsung dropped the resolution to 12MP this year, but in doing so, included a sensor that captures more light through bigger pixels and is insanely quick to focus on subjects. It creates stunning bokeh effects, shoots in 4K, kills the competition in low light, and is simple to launch, yet still has the full manual controls, slow motion video modes, and everything else you would expect from a flagship smartphone. But maybe most importantly, it’s a camera that you can’t really screw up with. What I mean is that it’s so fast to focus and so fast to shoot, that your photos will be great almost every time. And if the first shot isn’t up to your standards, taking another two or three to make sure it is, only takes a second. Both the Galaxy S7 and Galaxy S7 Edge feature top of the line, high-end smartphone specifications. Inside, Qualcomm’s latest Snapdragon 820 processor and 4GB of RAM power the applications and operating system, while generously-sized batteries keep the phones going during your long days at the office. The Galaxy S7 features a 3,000mAh battery, which is a solid step up from last year’s Galaxy S6 that features a 2,550mAh battery. As for the Galaxy S7 Edge, it received the largest battery upgrade, with the device sporting a 3,600mAh battery, up from the 2,600mAh battery that was in the Galaxy S6 Edge. The only differences between the two phones are the display sizes and battery capacity. While the Galaxy S7 features a 5.1″ Super AMOLED QHD display, the Galaxy S7 Edge is slightly larger, packing a 5.5″ Super AMOLED QHD display. Both feature the same resolution of 2560 x 1440. Compare these specs to anything else on the market, in addition to the inclusion of IP68 water and dust resistance, and you might be looking around for quite a while. What’s the best mobile payment system on the planet? It’s the one included on the last handful of Galaxy smartphones, including the Galaxy S7 and S7 Edge. We’re talking about Samsung Pay, which not only allows you to pay over NFC like Apple and Google’s payment systems, but it also lets you pay at non-NFC terminals with MST, a technology that emulates a credit card swipe. I won’t attempt to explain exactly how MST works, but just know this – Samsung Pay will blow some minds with its tricks. You can go into almost any shop with a credit card swiper and touch your Galaxy S7 to its card slot to make a payment. You will frequently have cashiers tell you that “We don’t do that stuff here,” just before their jaw drops to the floor as payment clears. Just keep in mind that Samsung Pay currently has a limited number of accepted cards. Feel free to check here to see if yours is supported. Included with the Galaxy S7 and Galaxy S7 Edge, IP68 water and dust resistance will protect your phone from a majority of the elements that would typically render a smartphone completely trashed. For example, if you are shooting pictures of your kids in a swimming pool, then your iPhone goes tumbling into the water, you are out of luck. Apple, for example, states clearly that the company’s 1-year limited warranty and AppleCare Protection Plan do not cover water damage. In addition, Apple, along with most Android OEMs (LG, HTC, etc.) go so far as to build Liquid Contact Indicators (LCI) into their smartphones, just so they can be sure that any accidental water damage done to a phone does not need to be paid for by them. The point is, accidents do happen, but when your phone features a high rating of water and solid resistance, it’s one less thing you have to worry about. With a rating of IP68, the Galaxy S7 and S7 Edge are protected from total dust ingress, as well as long term liquid immersion. So, when you see those videos of the Galaxy S7 going through a washing machine cycle, or being dropped in the deep end of a pool, you need not worry, as you know it will most likely survive undamaged. As stated previously, the only differences between these two phones are the display size and battery capacity. On one hand, you have the smaller and easier to use with one hand Galaxy S7, featuring a 5.1″ Super AMOLED QHD display and 3,000mAh battery. On the other hand, you have the slightly larger Galaxy S7 Edge, with a 5.5″ Super AMOLED QHD display and 3,600mAh battery. Really, when it comes to which phone you should pick, it’s entirely personal preference. Do you want a smaller phone? Do you want the extra 600mAh battery capacity? Or maybe, are the features baked into the Galaxy S7 Edge’s Edge Panel worth the extra price you pay? For me, while Samsung did upgrade the Edge Panel features to make them more noteworthy, I wouldn’t go so far as to say they are the reason you should buy the Galaxy S7 Edge. If the S7 Edge is calling your name, it’s probably because it features a larger display and larger battery. Beyond those two things, nothing entirely separates the Galaxy S7 from its larger self. If you have not already, be sure to watch our overview of the updated Edge Panel on the Galaxy S7 Edge, and maybe that will help you in making your decision. At the end of the day, having a choice between which Galaxy S7 model you want is key, and Samsung likely recognizes this need in the market. Consumers love options, plain and simple.